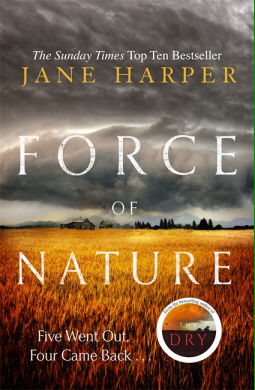 I’ve really enjoyed Jane Harper’s two previous books, but I think this is my favourite book by her so far. Unlike her other books, this is a standalone self-contained story of a family and the mystery surrounding the death of one of three brothers. It’s an easy, quick, engrossing read with a satisfying, if a little neat, conclusion. In common with her previous books, this book does a wonderful job of evoking the huge landscapes and isolation of the Australian outback. I’m not sure I’ve read another author who is so good at bringing to life the landscape of a place without resorting to long, boring, florid descriptions which take you out of the story. It is such a skill to bring the landscape to life so well while always writing in service of the narrative. I love reading her books. I really warmed to Nathan, the main character in this book, who is able to acknowledge his flaws and bad choices while still seeming somehow noble and trustworthy. His son Xander is also a really sweet and likeable character. It is really intriguing following the two of them trying to unravel the mystery of the reason behind Nathan’s brother Cameron’s death and uncovering secrets at the heart of their family. I’d highly recommend this and Harper’s other books. 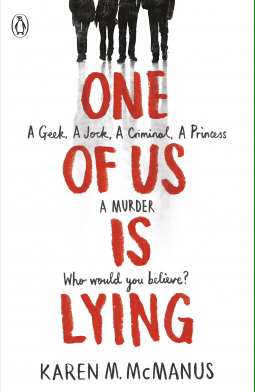 Thanks the NetGalley and Penguin UK – Michael Joseph for the ARC of this book. This is the third book in the Orphan X trilogy. I’m not sure why I keep reading these books. The first one was ridiculous, the second was even more ridiculous and it’s clear from the end of this book that the series is heading into beyond ridiculous high-level conspiracy territory. I picked up this book hoping to discover the fate of Jack which was left dangling at the end of the last book, fortunately this is disclosed almost immediately. 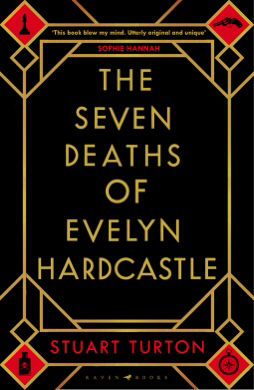 I was also hoping this book might tie up the series and that Evan and Mia could finally settle down and be happy together and I could stop reading this series, alas this did not happen; this is clearly one of those series which is going to drag on and on and milk its premise (a silly Jason Bourne rip-off) for all it is worth. I think I should probably stop reading the series anyway. It’s not that these books are bad; they are standard by numbers thrillers with overblown repetitive descriptions (do I really need to know the make of every gun and car?) and unsubtle emotional language; but I’m sure they meet the needs of their target audience, I’m just pretty positive that’s not me. What’s puts me off the most is the way this book revels in its descriptions of violence, the main character Evan is basically a killing machine and in this book is responsible for at least 50 deaths and the glee the book feels when describing these is just wrong. I also really object to the awful leery language used to describe the female character Candy, she is the sum of all her physical parts and I feel queasy whenever I read a passage describing her. I really think contemporary books, even with a male focus, should do better with this. 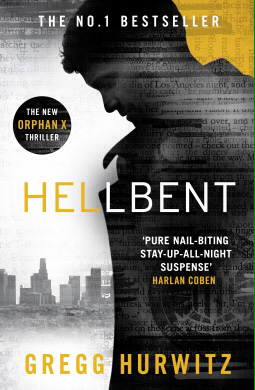 Farewell Orphan X, may I reread this review if I’m ever tempted to pick up another book in this series. Thanks to NetGalley and Penguin for the ARC of this book. This book is a blast! I had so much fun reading it. I was so worried when it started with 5 stereotyped teens entering detention that it would be a dismal, unnecessary retelling of ‘The Breakfast Club’; but then one of the kids dies and immediately I knew I was in safe hands. It’s a teen murder mystery set in an American high school with really likeable characters and a sweet unbelievable romance. My favourite element was the transformation of the character Addy from clingy girlfriend to independent girl who realises it’s better to be alone that be with a man who won’t let you be yourself. I guessed two thirds of the solution to the crime but there was one element I didn’t see coming. I really enjoyed the whole book and would love to read more by this author. Every Mother’s Day my husband takes our daughter out for the day so I can settle down and try to read a book in a day. The perfect Mother’s Day treat, peace and quiet and a good book! Yesterday I read Where’d You Go Bernadette? by Maria Semple. It was the perfect Mother’s Day read; light, funny, quick and featuring a really close mother daughter relationship. A lovely relaxing day.